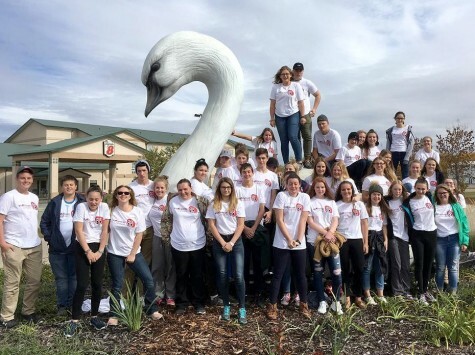 There are 21 students from the Swan Valley Regional Secondary School who are participating in an Experiences Canada Exchange with 21 other students from Elgin, Ontario. Each Swan River student gets matched with a student from Elgin and they are considered “twins” during the exchange. Elgin is a small rural community, about 1 hour outside of Ottawa, ON. Swan River hosted the first week of this exchange from Sept 24th – Oct 2nd. The week started with a trip to Winnipeg to meet our twins at the airport. We then spent a few days at Camp Manitou, where the students participated in many team building and icebreaker activities, which helped them all feel more comfortable with each other. While in Winnipeg, we also had time to tour the Canadian Museum for Human Rights as well as The Forks. Back in Swan River the next day, we took our twins to tour Pretty Valley Honey, LP, as well as the Kichuk Farm. Everyone was amazed at the massive size of the combines! 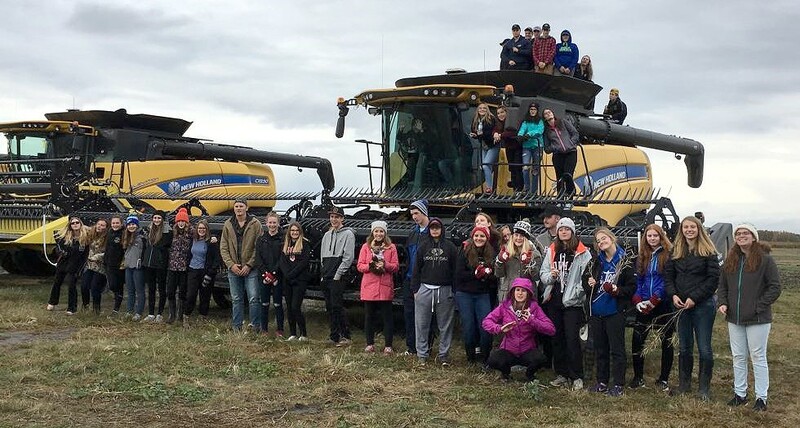 The following day the Elgin students listened to presentations on Indigenous culture, along with the history and geography of the Swan River Valley from the SVRSS teachers. All students then enjoyed the experience of making perogies, which we then ate for our potluck supper on the last evening. After their hard work of making the perogies, they enjoyed a fantastic Spaghetti supper sponsored by the Pizza Place and had so much fun competing in an “Amazing Race” around Swan River! 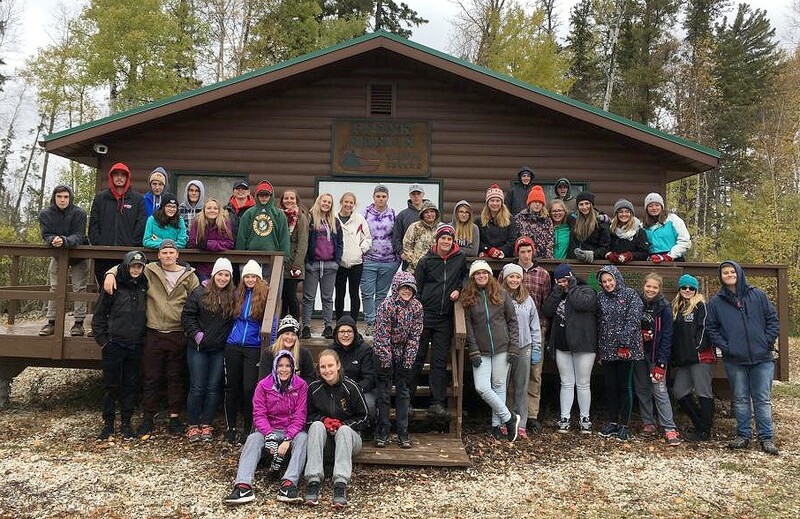 The next day, the students braved the cold and the snow to spend the day in the Duck Mountains. We hiked up Copernicus hill and had Paul Leblanc from LP join us to provide information about the Boreal Forest Ecosystem at the Duck Mountain Forest Interpretive Center. In the morning all families enjoyed a pancake breakfast, prepared by the Lion’s Club and sponsored by Parrish and Heimbecker, LP and The Elbert Chartrand Friendship Center. The students then spent the morning learning about archeology from Gary Wowchuk and made a dreamcatcher with the help from Lorna Munro. The students also spent time signing each other’s t-shirts that were donated by the Kinsmen Club. That evening the students attended the Stampeder hockey game and had fun hanging out with each other! To end our busy week, all families and students came together for a potluck supper at the SVRSS cafeteria to say our good byes. The students are already looking forward to traveling to Elgin, ON at the end of May to see their “twins” again! The support from our local community was incredible and greatly appreciated!